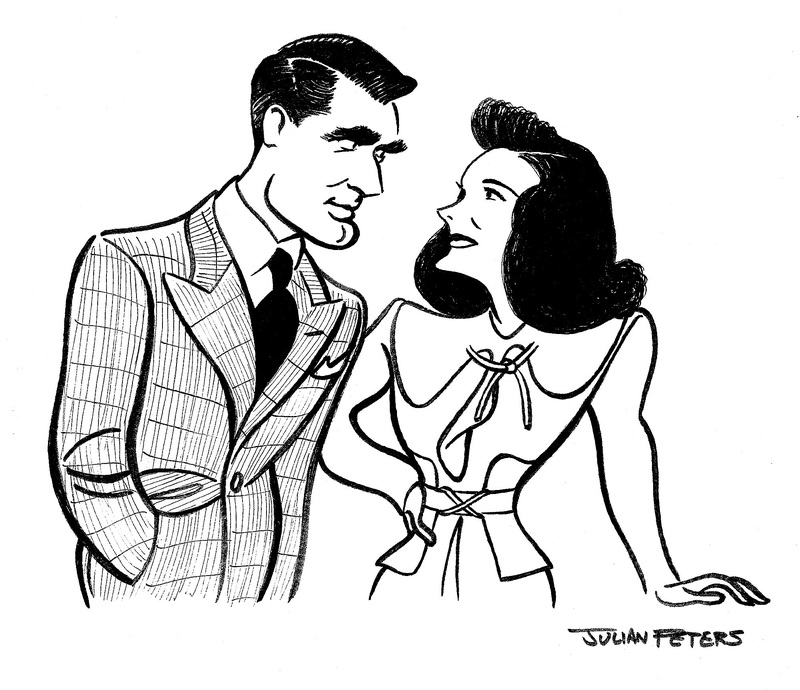 My drawing is based on a scene from The Philadelphia Story (1940), starring Cary Grant and Katherine Hepburn. This entry was posted in drawings, illustration and tagged aklasu, carey grant, katherine hepburn, kyle turner, screwball comedies, the philadelphia story. Bookmark the permalink. Psst: I believe it is “Cary.” And perfect eyebrows! Oops, you’re right, Bookgator, thank you! Shows what I know. In fact, I have no idea what is even going on in the movie still this drawing is based on. I’m not a huge old movie fan, but I recommend seeing A Philadelphia Story. It’s cute. I love your use of line here! Excellent job on Hepburn, especially! Grazie Marco, although I must say I’m personally not all that satisfied with this one. I set out with the idea of doing something vaguely Al Hirschfeld-esque, but ended up with a new appreciation of just how difficult a style that is.